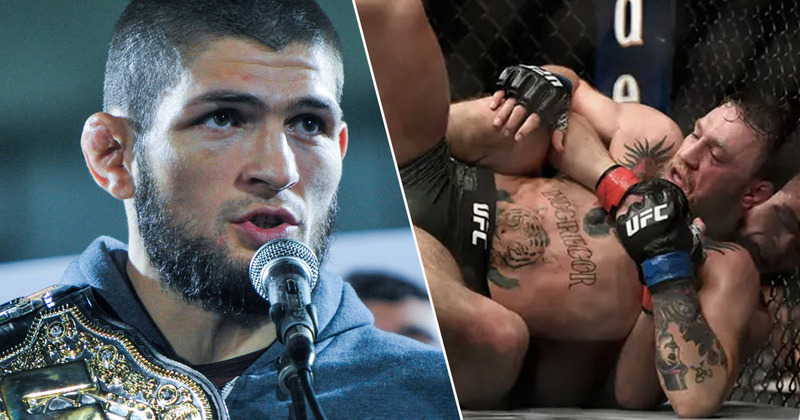 Khabib Nurmagomedov has savagely responded to Conor McGregor’s shock retirement announcement. The Irishman announced earlier today (March 26), he’s retiring from the ‘mixed martial art’ after a decade of fighting. He hasn’t fought since October 2018 when he lost to Nurmagomedov at UFC 229, at the T-Mobile Arena in Las Vegas. Hey guys quick announcement, I’ve decided to retire from the sport formally known as ‘Mixed Martial Art’ today. I wish all my old colleagues well going forward in competition. I now join my former partners on this venture, already in retirement. Both McGregor and Nurmagomedov are serving suspensions following the post-fight incidents which took place after their bout. UFC 229 saw the pair’s rivalry intensify and a rematch was thought to be inevitable, after McGregor tapped out during the fourth round. However, McGregor’s retirement announcement puts an end to the rumours, especially those about fighting Donald ‘Cowboy’ Cerrone in the summer. The Russian fighter couldn’t resist taking a dig at McGregor though, teasing him about his retirement. There can be only one king in the jungle. Only one. There can be only one king in the jungle. It might be too early for Nurmagomedov to start boasting though, as McGregor has ‘retired’ before. I have decided to retire young. While the Irishman did enjoy a two-year break from the Octagon, he returned to fight Nurmagomedov, so it wouldn’t surprise me if he did the same again. McGregor just loves attention, doesn’t he! While McGregor’s announcement did seemingly come from nowhere, on yesterday’s The Tonight Show Starring Jimmy Fallon, the 30-year-old told the host he ‘didn’t need’ to fight again, adding he is ‘set for life’. We’re in talks for July. There’s a lot of politics going on, it’s a mad game, the fight game. To my fans, I am in shape and I am ready. There are many opponents, in reality I can pick who I please. I don’t necessarily need to fight. I am set for life, my family is set for life. We are good, but I am eager to fight. We will see what happens, but I am just staying ready.